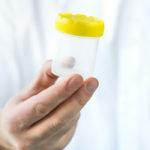 A case ruling in favour of a dismissed employee over the propriety of a drug test administered by a direct manager gives us a glimpse of what not to do when you conduct drug tests in the workplace. An employee who worked in a pathology laboratory lodged a claim of unfair dismissal after she was terminated for refusing to consent to a urine drug test requested by her direct manager. Because of the nature of their work, the manager was familiar with drug testing procedures and wanted to conduct the test himself. According to the report, the manager made the request after being tipped off by the employee’s neighbour that she might be taking drugs, specifically heroin. The employee refused, stating that the request was a breach of their employer’s testing standards and of the Australian and New Zealand Standard for testing (AS/NZ 4308). She also said that she shouldn’t be tested by her direct manager or by someone who knows her. She was dismissed after returning to work from a prolonged absence, even when she produced a medical certificate that her employer accepted. Upon her return, she also told them that she was willing to undergo a drug test. Because of these events, the employee filed a complaint with the Fair Work Commission, claiming that she was unfairly dismissed. The commission ruled in her favour, stating that it was inappropriate to have someone well-known to an employee, especially a direct manager, conduct the said employee’s drug test. They also found that there was no valid reason for her dismissal as the employer had accepted the medical certificate she provided to cover for her absence, and that she had later expressed willingness to undergo a drug test. She was awarded $27,900 in compensation. Because of the crackdown on drug use in the workplace, it’s understandable that managers will want to nip the problem in the bud. 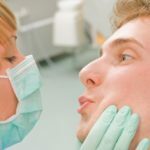 It is all right to be proactive, but like this case shows, managers must be careful to not overstep their boundaries. Employers should make it clear in their drug policies that testing should not be done by an employee’s direct manager or anyone who’s well-known to the employee. The procedures should also comply with the AS/NZ 4308 standards. Having a disinterested third party conduct workplace drug testing assures fairness and objectivity for all involved. The results are also more reliable when you have trained drug screeners perform the tests, rather than your own employees. 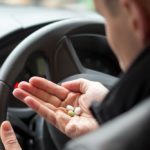 Workplace drug policies should also clearly outline the consequences of testing positive so that if the situations warrants a dismissal, both parties are made aware of the reasons and that the employee is given due process.